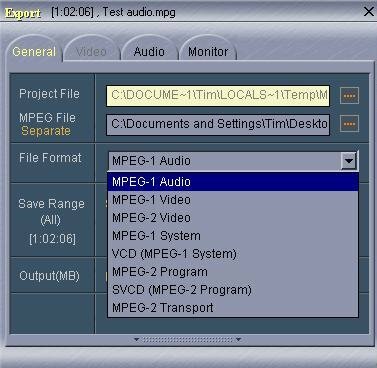 Steps to encoding WMV and WMV DVD in HCenc. 1. 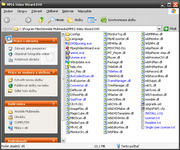 Create a project in Womble MVW. Using an external encoder is especially helpful when using titles. One can export from MVW, which is great for stream copy. Sometime there is encoding, as seen on details. Encoding takes much longer than stream copy. Using the normal, "Smart-Fast" algorithm, this example, a 61 second clip with 58% re-encoding took 5 minutes and 40 seconds. 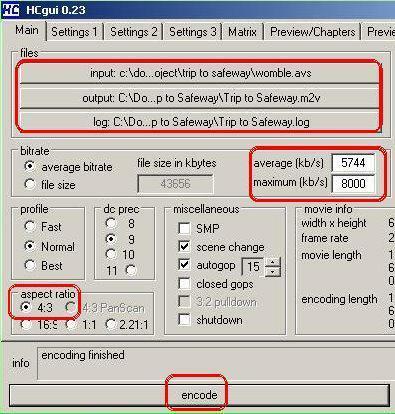 To get "better" encoding, MVW gives an option to use the “Maximum Quality” encoding algorithm. The maximum quality encoding takes longer : the 61 second clip with 58% re-encoding took 32 minutes and 55 seconds. My laptop is old and slow (1.3 GHz centrino), but that’s ridiculous. Even worse, the result is only marginally improved over a poor encode. Here is a frame capture using the regular encoding (speed at 3x plus a title to cause need to re-encode) next to the Maximum Quality encoder. 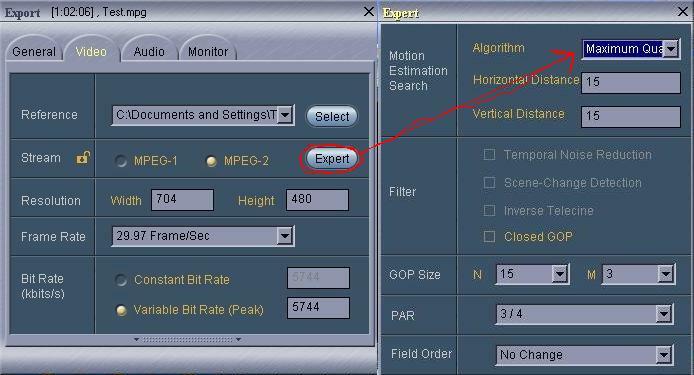 That is why I looked for an alternative encoder. Here are the steps to the process. 1. To use HCenc, you must save the project as a wbp in MVW. 2. Install AVIsynth and HCenc. Note where MWV is located. 4. Open HCenc. Set Files, bit rate, aspect ratio, and hit encode. HCenc processing times are much shorter than MVW when re-encoding, as this 61 second project took 3 minutes and 41 seconds. 5. Because HCenc omits the audio, we have to get that. 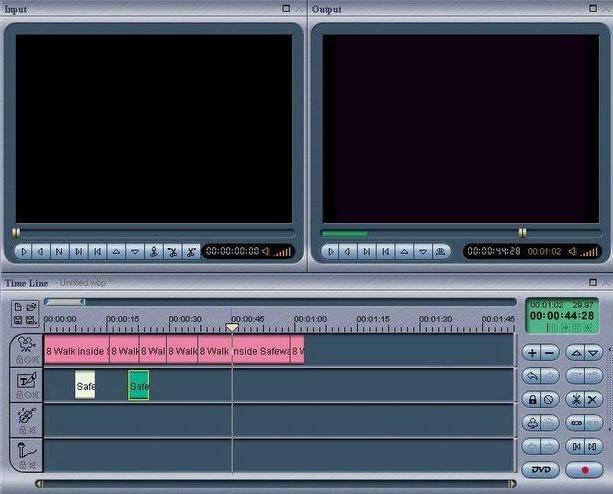 Go back to WMV, and export the audio as a MPEG1 audio file. This is fast, and took only 7 seconds for this 61 second clip, even with 54% audio re-encoding. 6. Start a blank project in MVW. Add the HCenc video (m2v file) and the just produced audio (mpg file). 7. Export the simple project. This is a stream copy, and goes very quickly. This 61 second clip took 8 seconds in MVW. 8. Enjoy the result, which is much cleaner. 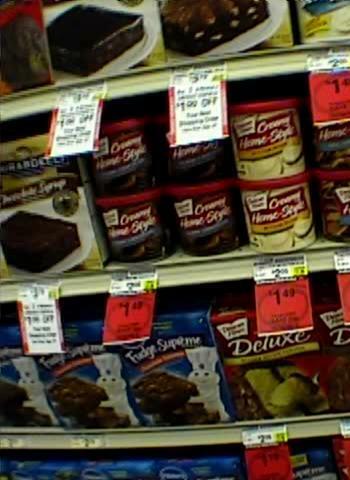 Below are two comparable frame captures (using PowerDVD, and the source and result are both interlaced). Here is a frame capture, first using HCenc, compared to MVW and MVW Maximum Quality. Notice the colors are faded and slightly less crisp, but not too bad. Enjoy, and thanks to 45tripp for telling me the hard part. Nice work. Might want to try moving color-space line up to the top of your AVISynth script. Might help with the faded color. If not, seems something may be getting lost in the conversion process. Also, just a suggestion. You want to change your abbreviations as MVW looks eerily close to WMV, which is a widely used and accepted term for Windows Media Video. You can cut down on the potential confusion by just calling it MPEG Video Wizard or Womble MVW. Just a thought. You missed : between the D and the \ on the womble line. Also try to use straight quotes instead of you special quotes. => there one are the right ones for avisynth => ". Maybe your quotes forces the avs file to be saved to unicode. I don't know if avisynth can read unicode files. Excellent guide! I had no idea you could do that with the Womble products. 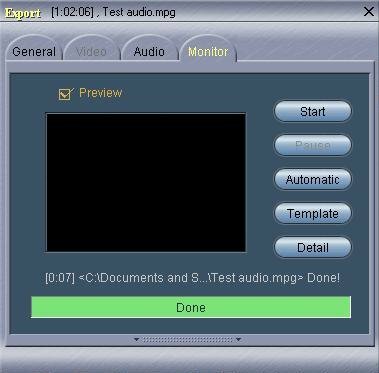 As much as I liked the simplicity in editing and DVD creation, I always thought the built in Mpeg encoder was lacking. Thanks. Hey soop, take a look at the HCencoder frameserved encoding. It is experiencing some color washing. How would you correct that? I am thinking moving convettoyv12 before flipvertical to feed colorspace information first. Thoughts? I am a novice at encoding, and I have never used AVISynth and am worried it will be too difficult for me to understand. For example, I don't know why you use flipvertical, Lancszosresize(704,480), and converttoyv12. I am editing 720 x 480 mpgs and normally don't need to convert (I just clip out sections of the mpg). But once in a while I would like to apply a filter, or use a fade which requires re-encoding by Womble. Could I get along with not learning about "flipvertical, Lancszosresize(704,480), and converttoyv12" or do I need to bite the bullet and learn everything about AVISynth? You need FlipVertical() only if your video opens upside down. Before sending to the encoder check out the script in VDub(Mod). 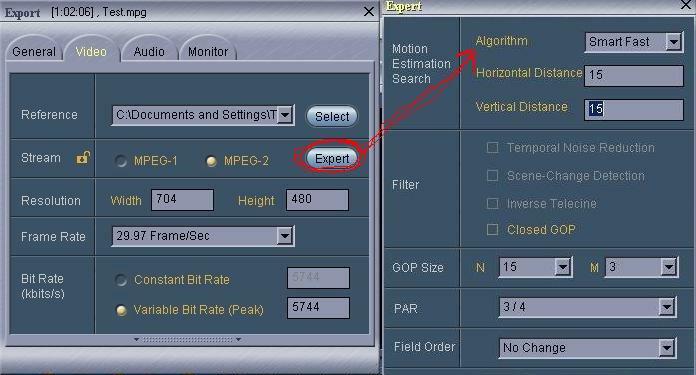 If your video is 720x480 (or 704x480) you don't need to resize (if for NTSC DVD). and then open in VDub(Mod). So, can I use this technique if I am using some of the Womble filters? I usually stay away from their filters because the resulting video is poor quality. Any time womble re-encodes (reverse, video fade, filters, speed changes, etc.) I am not satisfied with the results. But it would be nice if I could use Womble's interface because I am familiar with it and I can see the results immediately (which is really important when trying to pan or zoom). I don't know anything about Womble. I was just trying to help with your AviSynth questions. Sorry. So, can I use this technique if I am using some of the Womble filters? usually stay away from their filters because the resulting video is poor quality. Any time womble re-encodes (reverse, video fade, filters, speed changes, etc.) I am not satisfied with the results. But it would be nice if I could use Womble's interface because I am familiar with it and I can see the results immediately (which is really important when trying to pan or zoom). The answer is "yes". I just tried it using a Womble filter and a title overlay and it worked! What version of WbpVFAPI.vfp is used??? I am not sure if this is what you are asking, but if I right-click on my WbpVFAPI.vfp file and choose properties, and then go to the version tab, the version is "4, 0, 4, 109". Womble's instruction manual mentions that it came frameserve. I know I was using it with some projects and having tmpg (2.56) encoding it, however thanks for the avisynth script!! Yes, this is what I asked! BUT I have problems with work of this script. Canopus Procoder crashes at loading this script! CCE also: stops on 10% at coding and Then crashed. I tried the version of WbpVFAPI 1.0.1.2 (MVW2003) and new 4.0.4.109(from update) - no results! Womble MPEG Video Wizard destroys audio? !